Two million volunteers is very much in reach. Everyone volunteer works to get at least one friend signed up. Two million volunteers will really shake this cycle. Great work today everyone!!! Keep it up! Just donated $41.14 to Bernie’s campaign. 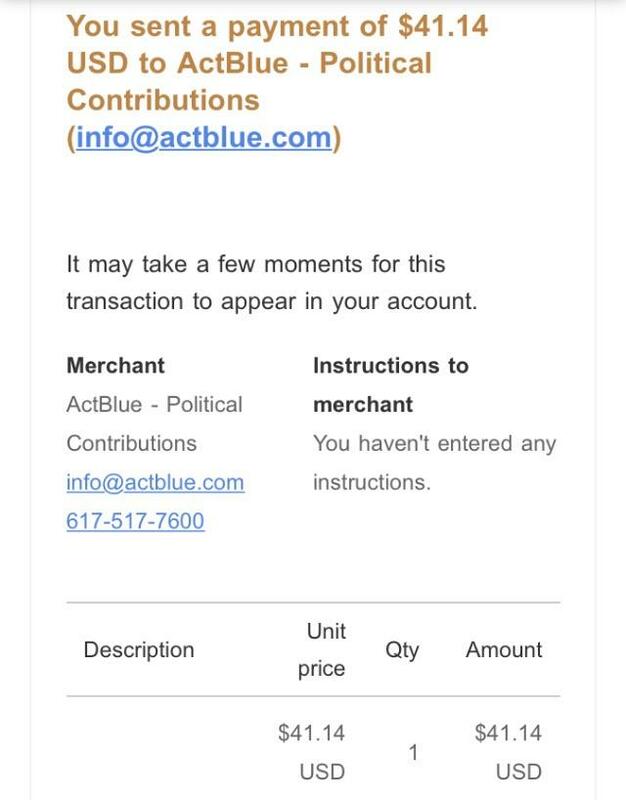 That’s $27 for my usual monthly donation, $10 for Beto’s announcement, $3.14 for Pie Day, and a $1 tip ActBlue. Cohen says Trump wouldn’t allow a peaceful transition of power. If that’s true, what would happen if Bernie won?